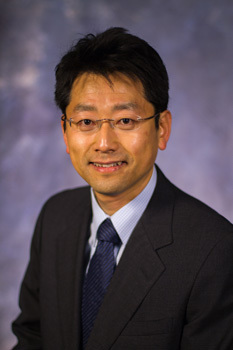 Dr. Jiro Yoshida is Associate Professor of Business at the Smeal College of Business and Fellow at the Institute for Real Estate Studies, the Pennsylvania State University. He also serves as Research Associate at Columbia Business School, Senior Research Fellow at the Ministry of Finance of Japan, an Expert Committee M ember of the Japanese National Land Council, and Research Fellow at the Housing Research and Advancement Foundation of Japan. Before joining the Smeal College, Dr. Yoshida was Assistant Professor at the Graduate School of Economics, the University of Tokyo. He has also been Visiting Professor at the Haas School of Business, University of California, Berkeley, and Deputy Director at the Development Bank of Japan. He has served as a founding director of the Japanese Association of Real Estate Financial Engineering, and various research councils at the Ministry of Economy, Trade and Industry and the Ministry of Land, Infrastructure, Transport and Tourism. Debt and equity financing, capital structure, "creative financing," risk analysis, corporate asset management. FIN (R M) 460 Real Estate Financial Analysis (3) The objective of this course is to provide in-depth coverage of real estate investment and financing decisions. The focus is on the private market, including corporate asset management. Investment analysis moves from the basics of forecasting cash flows, through advanced topics including the impact of real option value on investment and development decisions. Risk measurement is given particular attention with a focus on sensitivity and simulation analysis. There is some coverage of asset pricing models like the Capital Asset Pricing Model, which is critically analyzed with respect to its applicability in real estate markets. The impact of illiquidity, management costs, and the suspicion of non-normally distributed returns are explored, as are the implications of relative market inefficiency. The financing module begins with the basics of mortgage debt mathematics, which is then extended to include comparisons of various repayment programs. Included are interest-only, balloon, shared appreciation, growing equity, graduated payment and reverse annuity loans, as well as various creative financing of commercial properties.The latter include participating mortgages, convertible mortgages, and mezzanine debt. Featured in the corporate asset management section is the lease/buy decision. Other topics may be addresses based on current events. It is anticipated that guest speakers will be invited where appropriate. Debt and equity financing capital structure, "creative financing," risk analysis, corporate asset management. This course covers economic analysis of real estate as a financial asset. The emphasis is put on property-level valuation, direct equity investments, and debt financing. Yoshida J., "Large Depreciation of Real Estate in Japan." 2018, Invited. Yoshida J., "Changing Methods of Evaluating Real Estate Investments in Japan." (Toyo Keizai), 2018, Invited. Ambrose B. W., Coulson N., Yoshida J., "Reassessing Taylor Rules Using Improved Housing Rent Data." Journal of Macroeconomics, vol. 56, 2018, pp. 243-257. Yoshida J., Seko M., Sumita K., "The Term Structure of Housing Rents When Contracts Are Cancellable." The Quarterly Journal of Housing and Land Economics, vol. 106, 2017, pp. 20-29. Yoshida J., Onishi J., Shimizu C., "Energy Efficiency and Green Building Markets in Japan." (Palgrave Macmillan), 2017, pp. 137-157. Yoshida J., Sugiura A., "The relation between features of green buildings and transaction prices." The Quarterly Journal of Housing and Land Economics, vol. 104, 2017, pp. 10-19. Ambrose B. W., Conklin J., Yoshida J., "Credit Rationing, Income Exaggeration, and Adverse Selection in the Mortgage Market." Journal of Finance, vol. 71, no. 6, 2016, pp. 2637-2686, doi:10.1111/jofi.12426. Yoshida J., "Issues on Real Estate Markets: Restrictions in Housing Supply." 2016, Invited. Fadaei S., Rahimi S., Yoshida J., Iulo L. D., "The Effects of Orientation and Elongation on the Price of the Homes in Central Pennsylvania." Proceedings from ICCCBE 2016, 2016. Ambrose B. W., Diop M., Yoshida J., "Product Market Competition and Corporate Real Estate Investment under Demand Uncertainty." Real Estate Economics, 2016, dx.doi.org/10.1111/1540-6229.12150. Yoshida J., "Depreciation Rates of Japanese Real Estate Assets." The Quarterly Journal of Housing and Land Economics, vol. 99, 2016, pp. 20-27. Yoshida J., Seko M., Sumita K., "The Rent Term Premium for Cancellable Leases." Journal of Real Estate Finance and Economics, 2015, pp. 1-32, dx.doi.org/10.1007/s11146-015-9528-x. Fadaei S., Iulo L. D., Yoshida J., "Architecture: A Missing Piece in Real-estate Studies of Sustainable Houses." Procedia Engineering, vol. 118, 2015, pp. 813-818. Ambrose B. W., Coulson N., Yoshida J., "The Repeat Rent Index." Review of Economics and Statistics, vol. 97, no. 5, 2015, pp. 939-950, dx.doi.org/10.1162/REST_a_00500. Yoshida J., Sugiura A., "The Effects of Multiple Green Factors on Condominium Prices." Journal of Real Estate Finance and Economics, vol. 50, no. 3, 2015, pp. 412-437. Park S. Y., Yoshida J., "Does the Law of One Price Hold in Heterogeneous Asset Markets? A Test Using the U.S. Commercial Real Estate Market." AsRES Conference Proceedings, 2013. Fuerst F., Shimizu C., Yoshida J., "The Investment Value of Green Buildings in Japan." ERES, vol. 265, 2013. Yoshida J., "Economic Rationale for Securitization." The Quarterly Journal of Housing and Land Economics, vol. 86, 2012, pp. 12-17. Yoshida J., Sugiura A., "Which “Greenness” is Valued? Evidence from Green Condominiums in Tokyo." no. 1636426, 2012, ssrn.com/abstract=1636426. Yoshida J., Shimizu C., "The Effect of a Green Building Certificate on New Condominium Prices in Japan." The Quarterly Journal of Housing and Land Economics, vol. 83, 2012, pp. 18-29. Yoshida J., "A series of thirty articles on securitization and real estate finance." The Japan Economic Research Institute Monthly, 2011. Yoshida J., "Issues on Financial Crisis and the Future of Derivatives and Securitization." vol. 65, 2009. Yoshida J., "Is Socially Responsible Investment Profitable?." In Corporate Real Estate Strategy: Looking Beyond Financial Crisis and Supremacy of the Shareholder, (Reitaku University Press), 2009. Yoshida J., Yamazaki R., Lee J. E., "Real Estate Transaction Prices in Japan: New Findings of Time-Series and Cross-Sectional Characteristics." AREUEA Conference Proceedings, 2009. Yoshida J., "The Role of Real Estate in Finance." vol. 32, 2008. Yoshida J., "A Real Options Approach to Infrastructure Investments." vol. 3, 2008. Ott S., Riddiough T. J., Yi H., Yoshida J., "On Demand: Cross-country Evidence from Commercial Real Estate Asset Markets." International Real Estate Review, vol. 11, no. 1, 2008, pp. 1-37. Yoshida J., "Predictability of Real Estate Price and Cap Rate." vol. 70, 2008, pp. 19-28. Yoshida J., "Project Finance." In The Handbook of Construction, (Asakura Publishing Co., Ltd.), vol. 2, 2007, pp. Section 4. Takahashi H., Yoshida J., Yamamoto K., "Project Evaluation Under Uncertainty." vol. 13, 2006, pp. 11-20. Takahashi H., Yoshida J., Yamamoto K., "A Study on a Phased Plan of Infrastructure Improvement Under Uncertainty." vol. 12, 2005, pp. 19-26. Takahashi H., Yamamoto K., Yoshida J., "An Application of Real Options to the Phased Construction Plan of Infrastructure Investment." vol. 8, no. 30, 2005, pp. 23-30. Yoshida J., "Real Options Approach to Infrastructure Planning." 2003. Yoshida J., "Determinants of Demand and Supply of Commercial Real Estate Assets." vol. 48, 2003, pp. 23-35. Yoshida J., "Effects of Uncertainty on the Investment Decision." 2001. Yoshida J., "Investment Under Uncertainty by A. Dixit and R. Pindyck." (Economist Japan, Ltd.), 2001. Yoshida J., Ishihara M., Nakamura K., Wakiyasu S., "Real Options: Managing Strategic Investment in an Uncertain World (by M. Amram and N. Kulatilaka)." (Toyokeizai Shimpo, Ltd.), 2001. Yoshida J., "Real Options: A New Design Policy for the Infrastructure Provision,." vol. 86, 2001.